The first airplane built by Eddie Stinson was the Detroiter making its first flight on January 25, 1926. 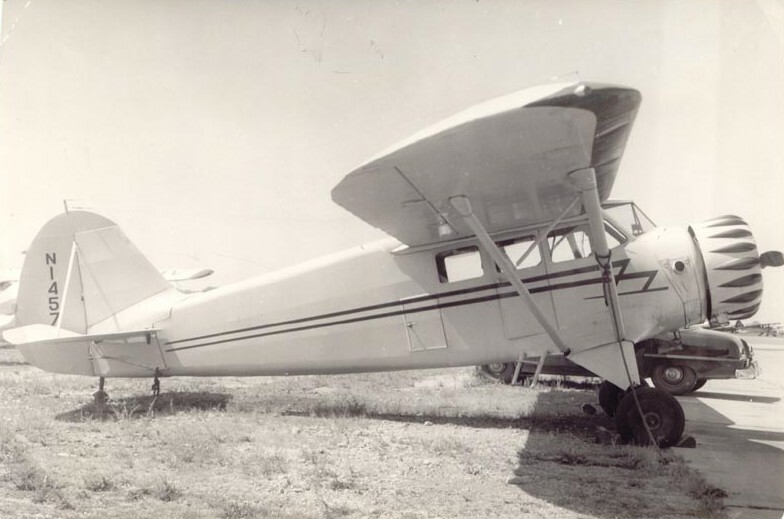 The Detroiter prototype shown here lead directly to the Stinson SB-1 production version, 26 of which were built. The Detroiter was powered by a 200 HP Wright J-4B Whirlwind. Added 04/01/03. 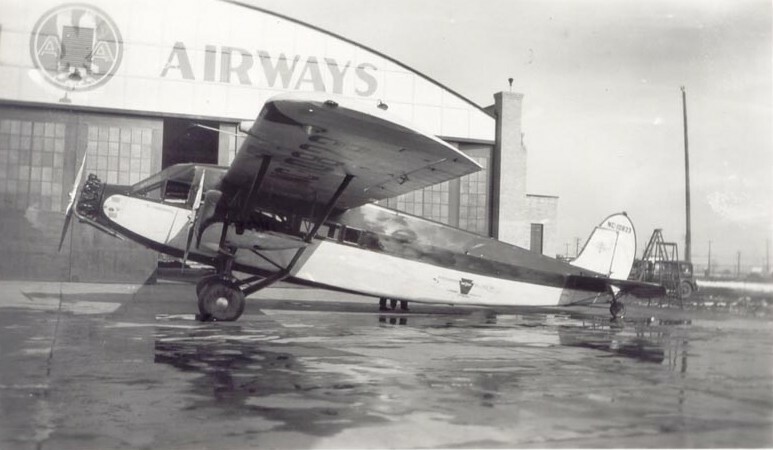 Stinson built 53 tri engined high wing airliners known by two names, the SM6000 and the Model "T" (which supposedly referred to Tri Motor). 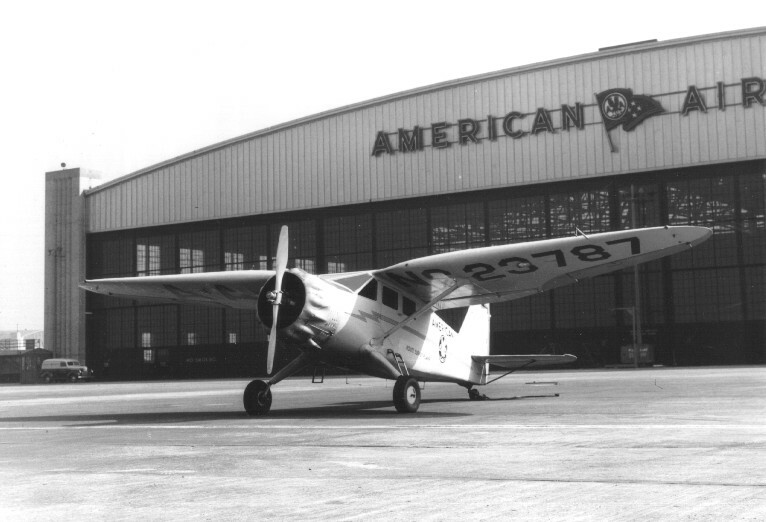 Shown here is SM6000B NC11155, serial number 5022 of American Airways (later American Airlines). Here is another view of a SM6000B NC10823, serial number 5039 of Pennsylvania Airlines. Both aircraft were powered by 215HP Lycoming R-680 radial engines. Approved under Type Certificate 420. Added 04/01/03. 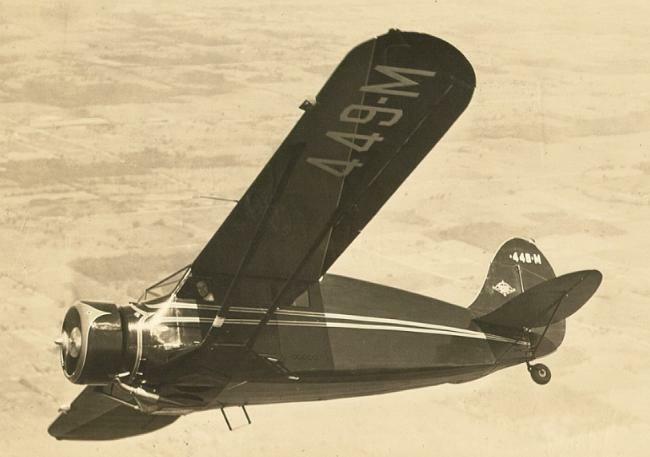 Shown here is a Stinson model R-2, NC447M, serial number 8521 built in 1934, only 3 airplanes of this type were built by Stinson under Type Certificate 489. Engine was a Lycoming R-680 of 240HP. Type certificate number 489. Added 04/01/03. 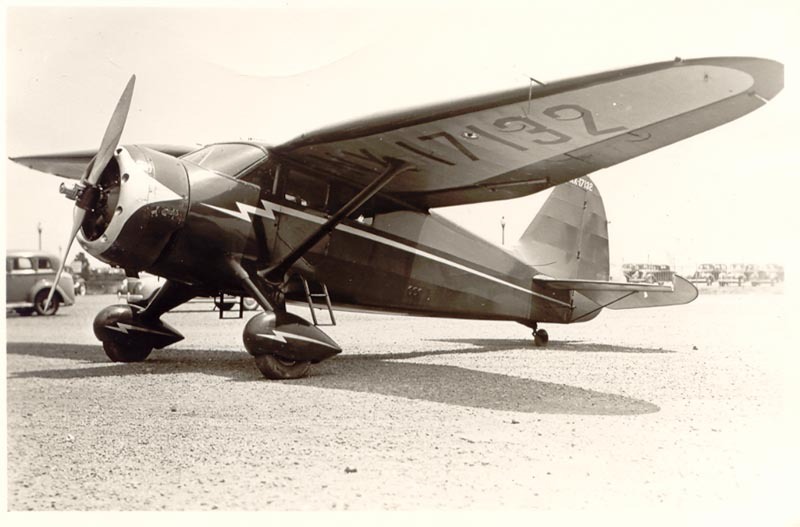 Stinson built their first retractable gear airplane, the Stinson model R-3, NC449M, serial number 8600. This particular view shows the registration without the NC, and it may be this photo was taken prior to type approval. 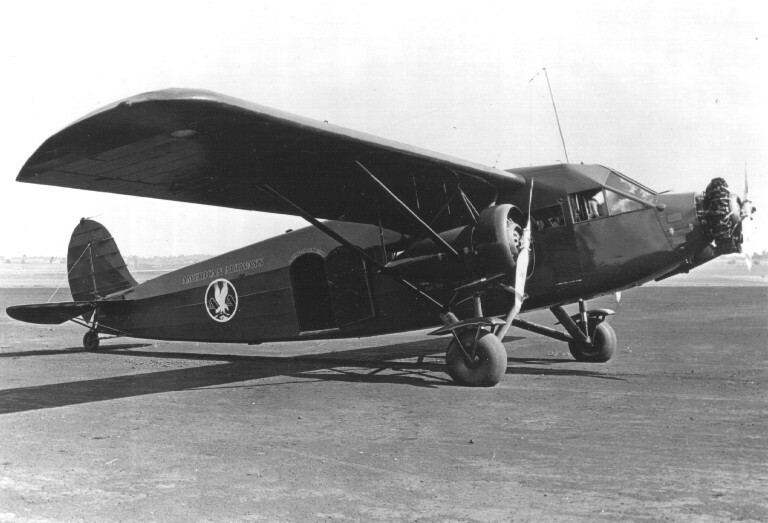 Few high wing airplanes ever had retractable landing gear, the Stinson R-3 used a mechanical system. Engine was 240HP Lycoming R-680, Type Certificate 493. Added 04/01/03. There were 3 basic versions of the SR Reliant series airplanes. The SR, SR Special, SR-1, SR-2, SR-3, SR-4, and the SR-6 together are one version commonly known as the "Straight Wing" Reliants. 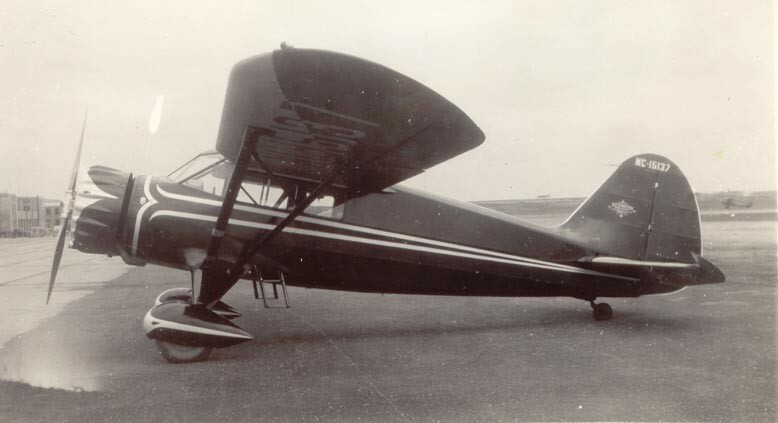 A total of 287 straight wing Reliants were built by Stinson. Second SR series were the SR-7, SR-8, SR-9 and SR-10 which together are known as the "Gull Wing" Reliants. A total of 488 Gull Wing Reliants were built by Stinson, all prior to World War II. Last Stinson Reliant was the V-77 which was a modified SR-10 built during World War II primarily for the British. The American military did use some of these aircraft under the designation AT-19. A total of 500 V-77/AT-19 Reliants were built by Stinson during World War II. The V-77 is actually a Vultee model number, by this time Stinson had been purchased and was the Stinson Division of Consolidated Vultee Aircraft Corporation. Straight wing Stinson model SR-5A Reliant, NC1457? (cannot see the last number of the registration). Note an easy way to tell the difference between a Straight Wing Reliant and a Gull Wing Reliant is the wing strut(s). The Straight Wing Reliants have two struts on each side, the Gull Wing Reliants have a single strut for each wing. 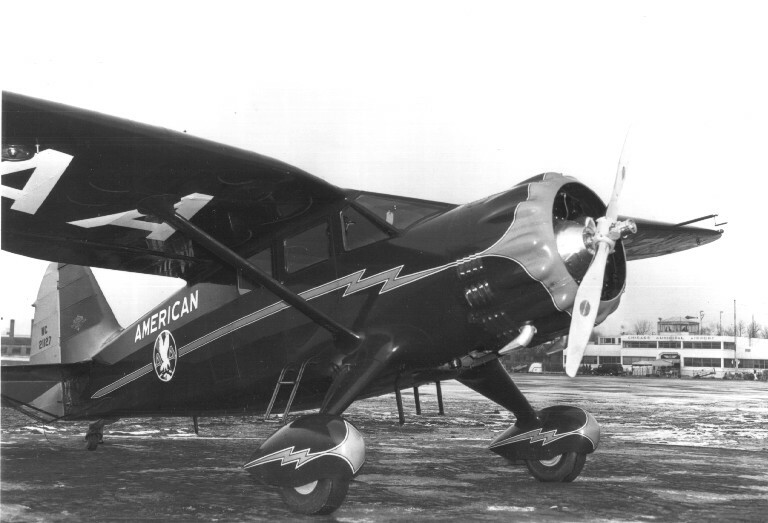 The SR-5A was powered by the 245HP Lycoming R-680 engine. This is a ground view of Stinson SR-6 NC15137 serial number 9642. Power was a 245 Lycoming R-680-6 engine. Added 04/01/03. Gull Wing Reliant Stinon SR-9D, NX17132, serial number 5210. Normal power was a 285 HP Wright R-760-E1 engine. This particular airplane is experimental because it is equipped with a 220hp Guidberson disel engine. Note the unique cowling with holes in the front of the cowling for each cylinder, and the lack of rocker box fairings. While tests were reported satisfactory, the Guidberson diesel was in short supply because of its use in Army tanks. My thanks to Tim Liewer who provided information on why this airplane is registered experimental. Added 04/01/03, information updated 10/17/10. The old, original airline terminal building can be seen in the background. The control tower rested on top of the terminal building which was located at 62nd Street and Cicero Avenue. Today, when folks fly on airliners they depart and arrive from a certain "gate." There are no real "gates" involved. Instead, passengers usually embark and disembark via jetways in modern terminal buildings. Added 04/01/03, updated 08/14/10. Here is a second SR-10E, NC23787, serial number 5925. Also an American Airlines Reliant. Added 04/01/03.